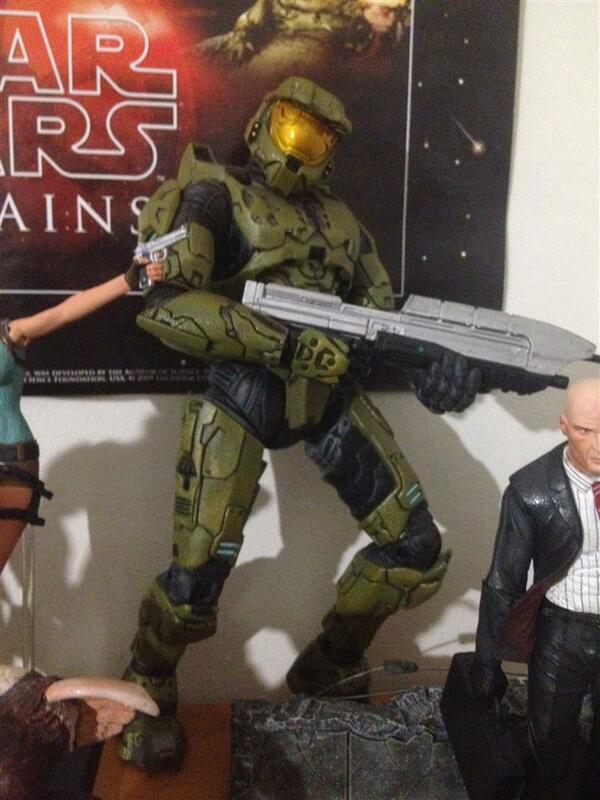 McFarlane 12 Inch Master Chief collected in Figure Collection by Tayler Rowe - Collected It! Halo. The most popular gaming franchises in the world (arguably) but does this figure do it justice? To me, no. the figure itself looks and feels great, the texture is superb and the attention to detail is great, but making this big chief stand up is like trying to put noodles through the eye of a needle. The feet barely stay flat and the gigantic hips on the master chief creek and groan which probably isn't a good sign. finding a corner or wall for this guy is the only way I've managed to make him stay up right. I kinda do regret spending the money on this figure but only a few days ago I found a nice spot for him in the bookcase I'm currently trying to overflow with figures and the green from his armor brings some nice color in to the surroundings. Not bad Mcfarlane.